Several years ago, someone told me about a great gluten-free cornbread mix they picked up in Kentucky. It was the Bloomfield Farms mix which I hadn't seen in Atlanta at the time - and I still haven't found it here. The good news is that the brand is rolling out to Kroger stores which means we should find it locally soon! In the meantime, the company was nice enough to send me a few things to try. 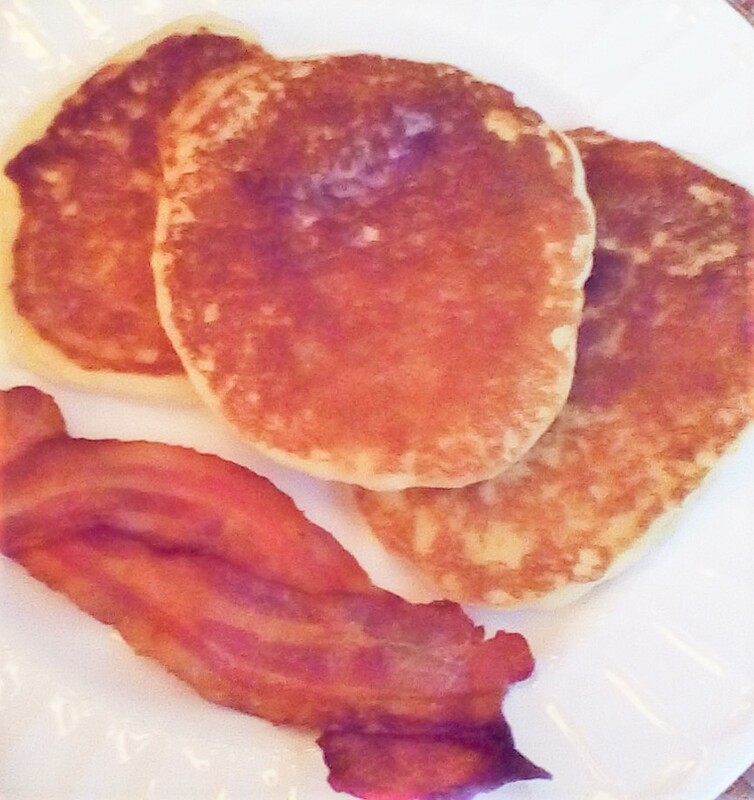 I recently made some golden brown pancakes for a lovely weekend breakfast. The mix was super easy to use and what was really exciting is that you don't have to use a whole box to make pancakes! Many gluten-free pancake mixes only give you instructions to use the whole package and in our case, that leaves us with way too many pancakes for a meal for two. I'm really picky about pancakes and literally could not eat some offered at a local restaurant because they came out 'light beige' and not 'golden brown' like pancakes most certainly should be. The Bloomfield Farms pancakes are the perfect color and texture and just taste like regular pancakes! While I kept it basic with no add-ins, the batter should lend it self to blueberries or chocolate chips - whatever your favorite type is. Enjoy! Seven Sisters Scones opens in Johns Creek! Many months ago, we came upon a scone booth at a local farmers market. There was a sign out front that listed two gluten-free flavors of scones. Knowing that a friend (with celiac) had tried these scones and had no issues, I decided to taste, and then buy, a white chocolate raspberry scone. I must say that it was one of the best scones (of any kind) I've ever had! Seven Sisters Scones sells product at many Atlanta are farmers markets on Saturdays, as well as one in Chattanooga, TN. They usually have a couple of gluten-free options to choose from. 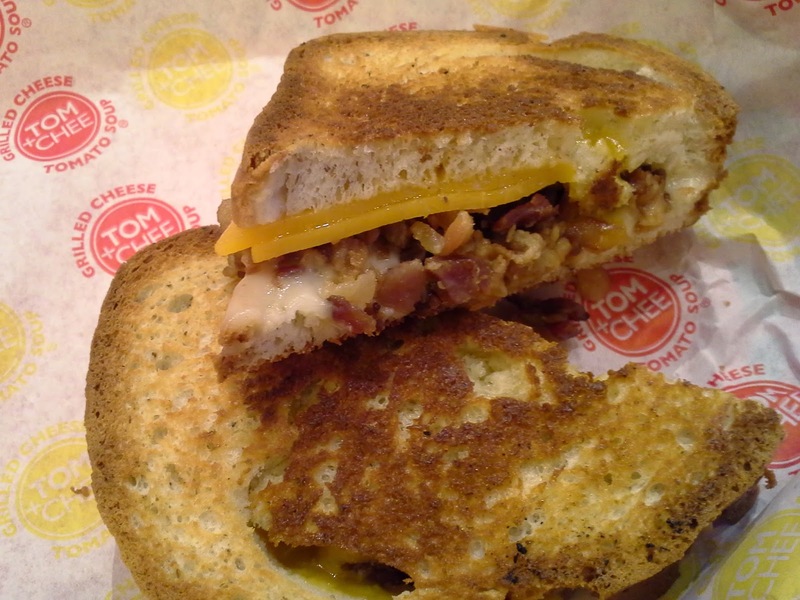 My favorite items are the above mentioned (sweet) flavor and the savory cheddar, bacon and chive. The latter is like a really upgraded version of the cheddar biscuits at Red Lobster. Simply put, they are AMAZING! I've served the "sconies" (mini scones available for pre-ordering) to glutenoids many times and they always rave about them as much as gluten-free guests do. These scones freeze exceptionally well and have no flavor or texture change upon defrosting. It is with great excitement that I can finally announce that Seven Sisters Scones has opened a store front bakery in Johns Creek! Details are on the company's website. *Please note this bakery is not a gluten-free facility. As always, do what works for you personally, regarding gluten-free foods. Filled cupcakes at Smallcakes - delish! OK - anyone who frequents the Gigi's in Norcross, which offers many gluten-free flavors (cupcake and frostings) six days a week, might have a hard time getting excited about gluten-free options at Smallcakes in Alpharetta. They offer gf vanilla one week and gf chocolate the next - only on Tuesdays. But, recently this location changed the way they offer gluten-free cupcakes. They now don't frost the cupcakes in advance. You get to choose your frosting which opens up many exciting flavor options! For weeks, the frostings of the day (for gf cupcakes) were two that I can't tolerate as they are WAY too sweet. Then, last week I called and found out about the new frosting free cupcakes that patrons get to choose the frostings for. I left knowing I could order key lime pie frosting, but got there to find I could also order lemon drop frosting which blew my mind....lemon and coconut cupcakes are my favorites and apparently not many people like them since Gigi's Norcross rarely makes then due to their unpopularity... But back to Smallcakes! Needless to say I walk out with two gorgeous cupcakes with a big smile on my face. However, when I get home to cut each of them in half (yes, I share), they are filled with something....and I'm pretty sure the cake part must not be gluten-free. In a panic I call the store and the nice woman who made the cupcakes explained the fillings were just put in for me and they are both gluten-free. And I must say, it's been a very long time since I've had cupcakes are fantastic as these!!!! The cake part is flavorful and moist and the frosting isn't 2/3 of the product. My husband enjoyed his two cupcake halves that night and said they were simply amazing. Since he gets regular baked treats fairly often at work now, his gluten and gluten-free taste comparisons are pretty accurate. Just like any normal restaurant, this bakery can't guarantee their gluten-free options are perfectly gluten-free, but they do take precautions considering they're in a gluten-filled facility. I'm not sure why they don't have more gluten-free customers (Gigi's is overrun with them! ), but if you're in the area and comfortable buying from regular bakeries, this place is definitely worth checking out! One of the most common summer "adult" beverages is the white wine spritzer, but there are other summery drinks that are just as light and refreshing. Two of my favorites are the Gin Margarita (thank you Ted's Montana Grill) and Kombucha Sunrise. For the first drink, just substitute gin for the tequila in your favorite margarita recipe. Garnish with fresh lime in salt rimmed glass and enjoy. For the Kombucha Sunrise, mix two parts Gingerade Kombucha with one part vodka of your choice (distilled alcohol is gluten-free, but check status of all flavored liquors) and garnish with fresh lime. Remember that the effects of alcohol are exacerbated in extreme heat. As always, please drink responsibly. Fresh gluten-free treats at Walmart! 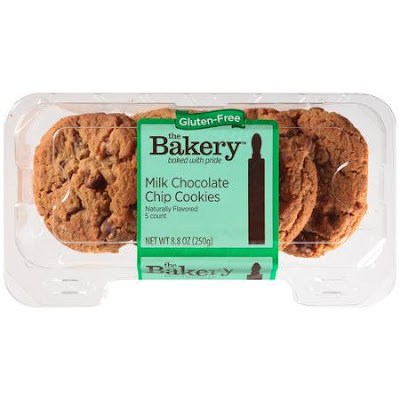 OK - I'm not much of a WM shopper so when a close gluten-free friend of mine told me I HAD to try the delicious gluten-free cookies and muffins she found at the WM over in Cobb county, I said yeah yeah...and promptly forgot about it. First of all, these days I have to choose my carbs very carefully. If something isn't amazing, I stop eating it after the first bite. Secondly, as mentioned above, I rarely go to WM. Starting with the cookies, they are VERY large and VERY soft! Aside from cookies made in a gluten-free (walk-in) bakery or ones I've baked myself, I've never had delicious, soft and chewy gluten-free cookies like these. They taste like homemade cookies...seriously! If you heat them up for a few seconds, I'm sure they'll taste like they just came out of the oven. Now, for the sad party of this story, the cookie monster in our house (who can eat any cookie on earth!) ate every cookie in two packages in less than two days! I wanted to make an ice cream sandwich with them, but that will have to wait. On to the brownies. I'm not sure why, but I've always been a huge fan of brownie bites - very small mini-muffin sized brownies. The WM Bakery gluten-free brownies are the perfect size! They're also just chocolaty and sweet enough without being too much of either. I ate one of them at room temperature (remember, they're in the bakery at WM - not in the freezer!) and it was really scrumptious! Then after giving ONE brownie to the husband, I froze the rest to insure they would still be there the next day. Eventually, I thawed out several brownies and made ice cream sundaes with them. Making that treat called for slightly heating the brownies in the microwave (one for me and three for the husband!) and topping with vanilla ice cream and Trader Joe's Midnight Moo (the only chocolate sauce we'll eat now). OK - we topped the sundaes off with a touch of canned whipped cream...lol! The only thing missing was a cherry on top - but we didn't miss the gluten one bit! Lastly, we have the blueberry gluten-free muffins. These amazing soft and moist treats are my new go-to ready-made blueberry muffins! They come in a 2-pack which is perfect for us! One thing I could not figure out was how the blueberries tasted like someone had picked them that day and made a batch of muffins with them... Seriously - the best blueberries I've had in any muffin ever! We didn't get a chance to freeze these, but based on the ingredients, they'll likely freeze well. Aside from enjoying at home, they're a nice item to keep stocked for trips to the in-laws' (or friends') house where you need to take your own b'fast breads. Here is a little more info on this great new option for FRESH gluten-free baked goods - sold only at Walmart under the brand 'The Bakery, gluten-free'. Now I know most of us have trained ourselves to avoid the bakery at any store like the plague. Why torture ourselves looking longingly at all the fresh, gluten-filled goodness? But it's time to reprogram our brains to enjoy going to the FRESH bakery section again - at least at Walmart! ALL U.S. locations should have these wonderful products by now, but if you can't find them, be sure and ask the bakery manager at your store to get them in STAT! To keep up with all the news from this exciting line, be sure to follow the WMBakeryGlutenFree Twitter page! With the overwhelming heat the ATL has experienced lately, I'm on a mission to cook as little as possible. Thankfully, my husband is a wonderful "grill master" and doesn't mind the heat associated with grilling in the early evening sun. One of the easiest things to make without cooking is homemade salsa. You can make it any way you like with whatever ingredients you have on hand - it's a win-win situation! When looking for a papaya salsa recipe the other day, I realized I didn't have all the ingredients to make any of them exactly as written. Therefore, I mixed it up and came up with my own recipe. Put diced papaya and jicama in mixing bowl and toss with lime juice (this prevents jicama from browning). Put red peppers and green onion into small food processor - pulse to mince. Add minced veggies and cilantro to papaya mixture and mix well. Chill for at least 30 minutes so all the flavors meld well. We used this fabulous, summery salsa to top grilled Mahi-Mahi, but it also works well with grilled chicken. Left over recipe ideas: add fresh (or canned) pineapple and some ginger to salsa. Puree to make fruity gazpacho. This twist on an old favorite is amazingly refreshing! Fruit salsa also makes an excellent taco topping in the warmer months! I've been meaning to post about this place for over a month now...finally, I'm getting around to it! Knowing that a good friend of mine, who lives in Cobb county, declared the gluten-free cupcakes at Smallcakes the best around - I knew I had to check them out. However, the location she frequented closed before I could get there. Fast forward to March 2015 when a location of Smallcakes opened up dangerously close to us. I assumed, incorrectly, that they made gluten-free cupcakes daily as the location near my friend did. Thankfully, I called ahead to confirm availability of their gluten-free goods before heading over. They only offer gluten-free on Tuesday (ironically the day I take Zumba toning) and they only have one flavor per week. They also only have two flavors of gluten-free - chocolate and vanilla. This was very disappointing to hear since my friend raved about flavors like red velvet, key lime pie and other exciting sounding flavors. But I want a cupcake I don't have to buy four of (and that were not previously frozen) and I don't want to drive to Norcross to get it. After tasting the chocolate cupcake at Smallcakes, all I could say is "I can't believe it's gluten-free!!!!" It would be another month (yesterday) before I finally got back on a gluten-free 'vanilla' Tuesday. Again, the cupcake was beyond amazing! While I don't think people that are severely affected by cross contamination would eat cupcakes made in a bakery that uses wheat, for those of us that aren't overly sensitive, this is an amazing option! If you're able to eat cupcakes from a non-dedicated gluten-free bakery, the offerings at Smallcakes are worth checking out. Who knows? Maybe we can eventually try other flavors beyond the standard chocolate and vanilla. I don't care much for the fudge frosting or the caramel frosting at this place, but the buttercream frosting is simply divine! Those of you that love the food at Tin Roof Kitchen have probably been waiting impatiently for the restaurant to reopen after their "non-working hood incident". Sadly, they are not ever opening back up. After a friend asked if they'd reopened yet, I went on the TRK website and then linked to their FB page. Below is the last note posted by the owner, Robyn. I know you all have been anxiously awaiting our re-opening date, however, at this point I have decided to close Tin Roof and offer it's assets for sale. This decision comes from my desire to spend more time with my family and to pursue other business opportunities. Thank you for a wonderful run and all of your support! If you are interested in purchasing the restaurant and obtaining the lease on the building, please send a message through the page here on FB. Thanks again!!! Gluten-free muffins to the rescue! A traditional brunch menu is typically heavy on gluten-filled options and when you're visiting in-laws for Easter, you can easily end up having to make do while hoping for the best. Meaning, hoping you don't get sick due to uninformed or misinformed staff members. 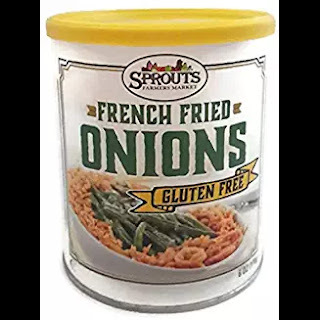 While I was fortunate and was able to find plenty of safe food to eat at Easter brunch this year, what really made me feel like it was brunch was my gluten-free muffin. That would be the Pillsbury chocolate chip muffin I took to brunch in my purse. Due to where I was, I could not trust the staff to take the muffin into the kitchen to heat up for me, but it didn't matter. The muffins are delicious any way you can get them - hot with butter or plain at room temperature! 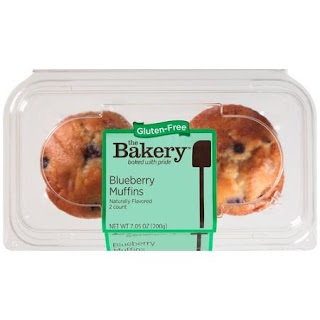 Presently, this is the only nationally distributed gluten-free muffin that offers individual wrappers for each unit. Just grab one out of the freezer, throw in your purse (or workout bag or lunch bag) and you're good to go! This is the perfect travel snack, though I haven't yet taken an international trip with them. They'd be perfect to give you a boost during a long flight, but I haven't investigated how long the muffins stay fresh once they're defrosted. Like most gluten-free muffins, the Pillsbury brand is stocked in your grocer's freezer. ENJOY! Recently, an old friend asked if I could meet for lunch near or at Lenox Square in Buckhead. I told her to pick a place and I'd check on the gluten-free options. She already had a place in mind - True Food - and she also knew there was gluten-free selection noted on the menu. I checked out the menu online and decided it looked good enough to check out. Mall dining is not my favorite thing to do, but True Food is on the corner of the mall with a street entrance. You can easily forget your at the mall with the high ceilings and bustling ambiance. There are gluten-free specialty items (like bread for sandwiches) available, but I opted for two half salads (may not be listed on the menu) and they were both delicious! The turkey lasagna looks interesting - they use spinach instead of pasta sheets. I think the pizza crust is from Venice bakery. You can check out the restaurant's website and menu here. Many specialty grocery stores (in our area) have individually sized gluten-free desserts in the bakery case. 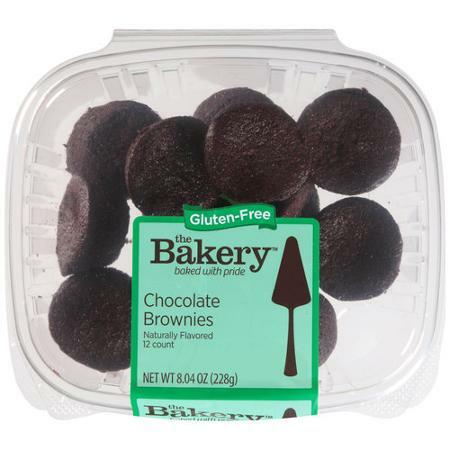 When looking for such a treat at our Sprouts Market, I found a flourless chocolate cake with a Sprouts label. It was very small and $2.99, but that is actually pretty reasonable for gluten-free treats. Since the cake was cold, I let it sit on the counter for a while before trying it for dessert. One bite was all I needed to decide it wasn't great and my husband wasn't overly impressed with it either. We put the rest of the cake in the fridge and decided to taste it again later.